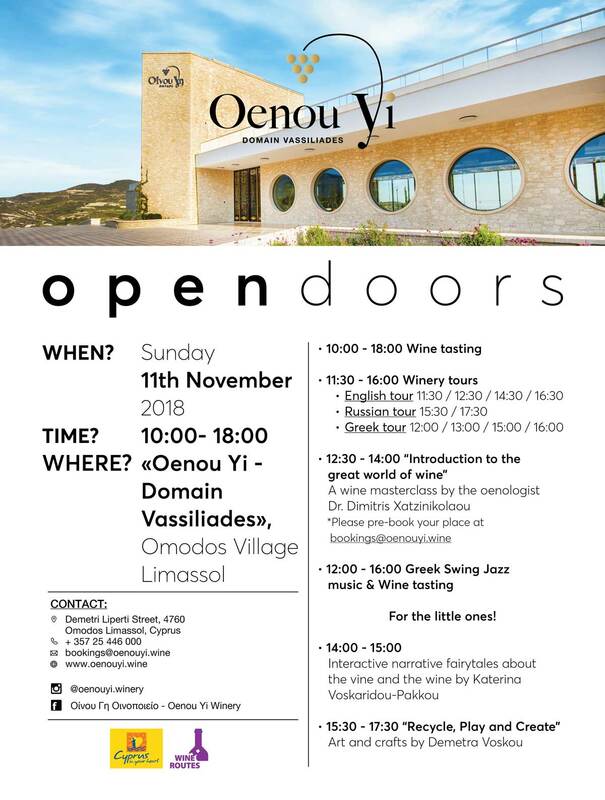 On Sunday, 11th of Νovember 2018, “Oenou Yi- Ktima Vassiliades” participates in the “Open Doors” showcase which is being organised by the Cyprus Tourism Organisation. 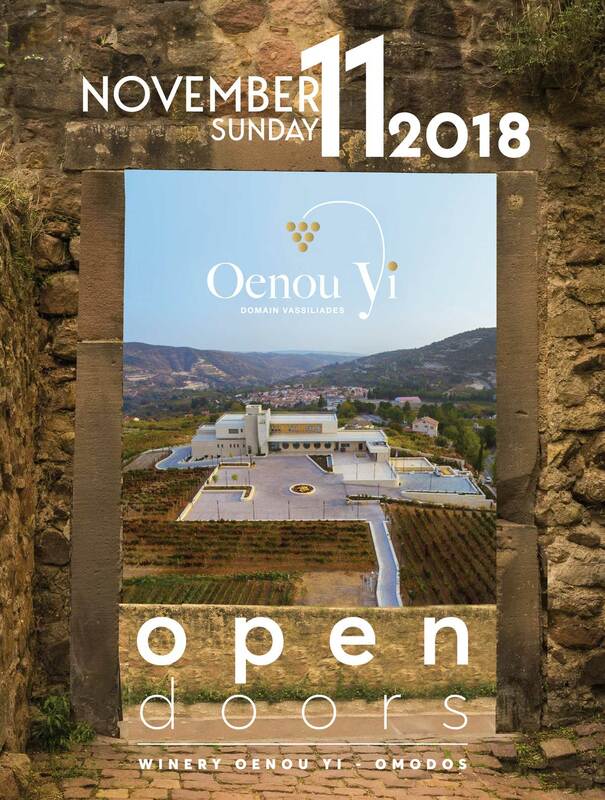 At the event you will have the chance to taste our fine wines, have a tour of our winery, listen to wonderful music and learn all there is about wine in our free seminars offered by our chosen associates! And for our little ones….